The refractive index is quoted for the gas or vapour state at 273 K/760 mm Hg for the sodium yellow d-line at 589.3 nm. 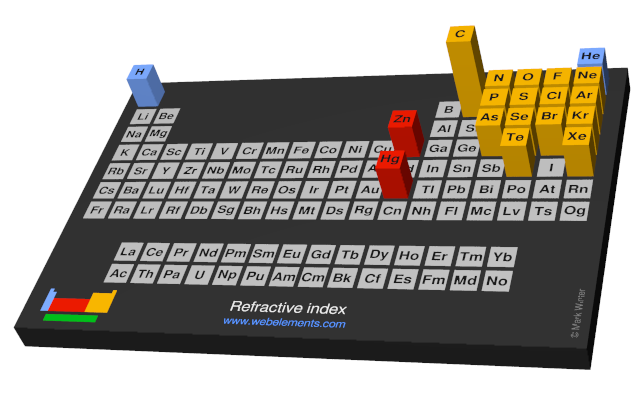 Image showing periodicity of the chemical elements for refractive index in a periodic table cityscape style. 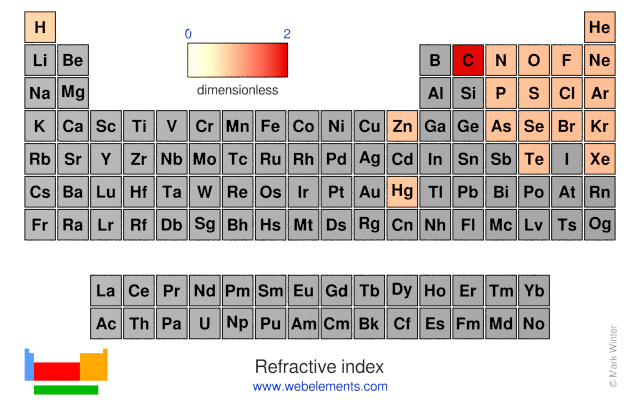 Image showing periodicity of the chemical elements for refractive index in a periodic table heatscape style. 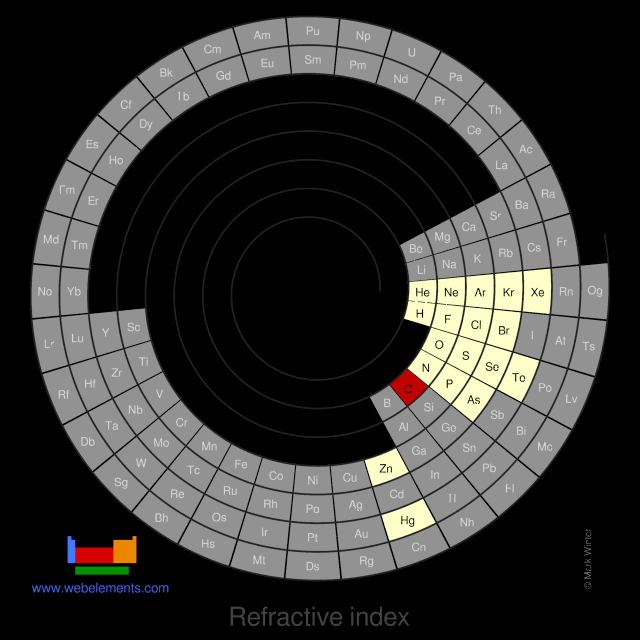 Image showing periodicity of the chemical elements for refractive index in a spiral periodic table heatscape style. 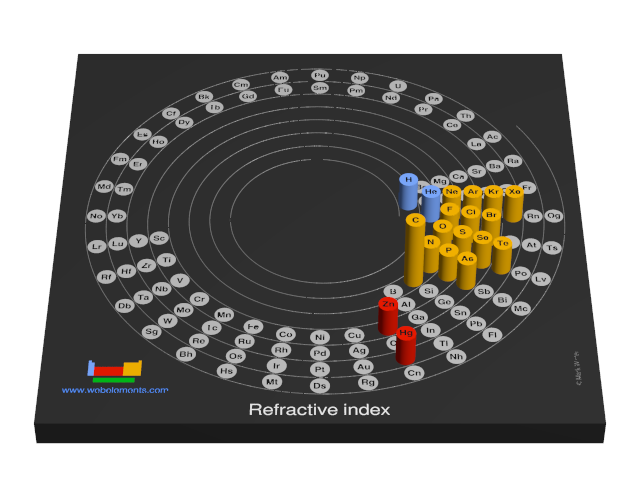 Image showing periodicity of the chemical elements for refractive index in a 3D spiral periodic table column style. 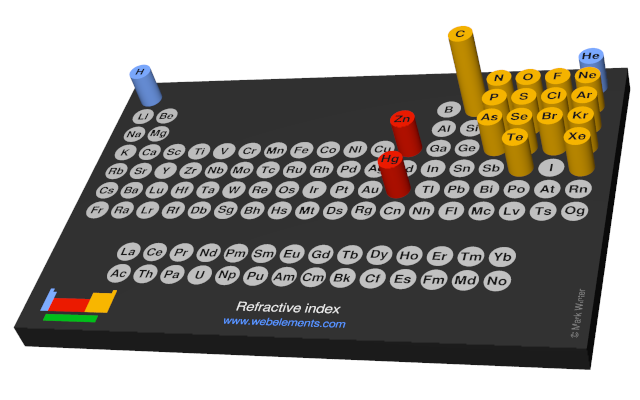 Image showing periodicity of the chemical elements for refractive index in a 3D periodic table column style. Air has a refractive index of 1.000292 under these conditions. Water vapour has a refractive index of 1.000256 under these conditions.